Providing you the best range of sandstone paintings with effective & timely delivery. Carved on high quality sandstones, we have for our clients a wide range of Sandstone Paintings and artwork. These pieces are carved with various traditional designs or figures of mythological characters. 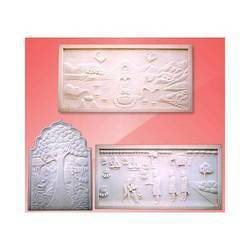 We offer our Sandstone Paintings & artwork in different shapes and designs.